Australian supermodel Shanina Shaik is none too happy with being pulled into the quagmire of the failed Fyre Festival. The Victoria Secrets model said she was furious after seeing the Netflix documentary that catalogues the series of blunders by the festivals organisers that left attendees stranded in the Bahamas with no accommodation and no food. Shaik was among the swag of top models, including Bella Hadid, Emily Ratajkowski, Alessandra Ambrosio, Hailey Baldwin and Chanel Iman, hired to promote the Fyre Festival through social media. “I cried when I watched it,” Shaik told The Daily Telegraph. “It is really horrific what happened. The girls and I were just kind of dragged into it. We would never want to promote something like that or take someone’s money. Ja Rule and Billy McFarlane in happier times. 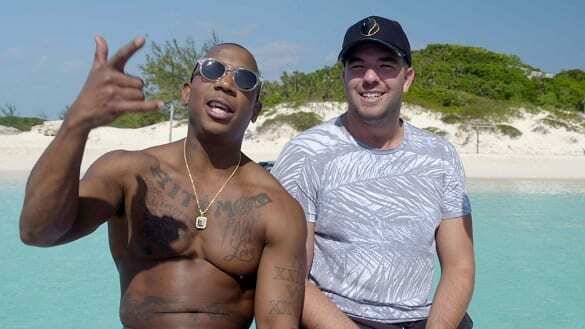 While festival organiser Billy McFarlane languishes in jail, his business partner for the festival, rapper Ja Rule, is still trying to purge his sense of guilt. At a concert in New Jersey last week, the rapper told the audience that “you might be a little mad at me”.